Alright you shutter bugs, you just came back from vacation. You’ve taken more photos than the paparazzi chasing after the celebrity flavor of the week. Now what are you going to do? Show them off on your BlackBerry of course! Ascendo Photos is a seasoned veteran in this field, and is currently showing off its version 3.2 in style. I downloaded the trial version on my BlackBerry and on my computer. Ascendo allows you to round up photos and images on your computer into an easily managed interface. You can then edit your images and transfer them to your BlackBerry via USB or Bluetooth. 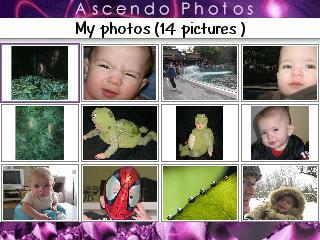 Ascendo is an amazing photo manager, loaded with advanced features which we will delve into. For simplicity, lets take a look at Ascendo in its 2 components. Ascendo Photos Desktop once installed, will get to work right away and search for JPEG, GIF, TIFF, PNG and BMP photos and images on your computer. You also have the option to set up “Watched directories” to be monitored for new images by Ascendo Photos Desktop. Customize Photos Desktop with several presets, including default size for opening images and attributes for scanning directories. Once images are found, they are listed on the right side of the interface as thumbnails in their respective folders. 3 images from each folder are displayed, as you navigate up and down through these folders. Each folder has a “more” option, showing all the pictures in a specific folder. Ascendo utilizes a BlackBerry screen emulator. Connect your BlackBerry, and the emulator will self adjust to fit your BBs screen size! 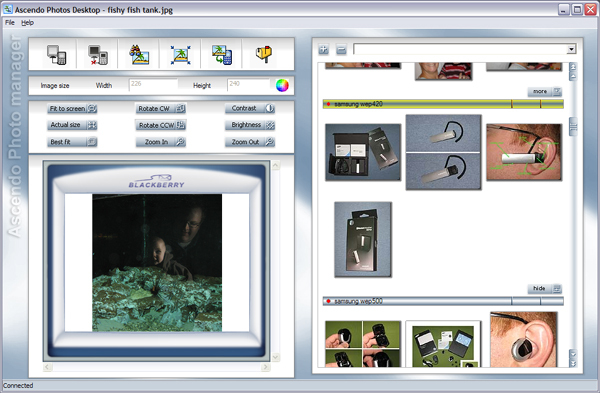 Once you decide which images you want to work with, simply drag and drop them onto the emulator screen. At this point you are ready to edit your image. You can reposition the image using the new controls for Fit to Screen, Actual Size or Best Fit. 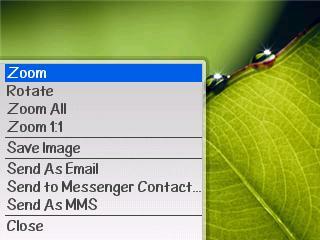 Ascendo also enables you to manually adjust the image position by clicking and dragging it within the emulator screen. With editing features including zoom, brightness & contrast, rotate and manage various image tags, (name, size, notes and Gallery assignment) Ascendo offers a one stop shop for your images. The zoom and rotate functions can also be accessed on your BlackBerry. Once you have finished you are one click away from transferring the final product(s) to your BlackBerry. With the new version you can now transfer numerous images at once. 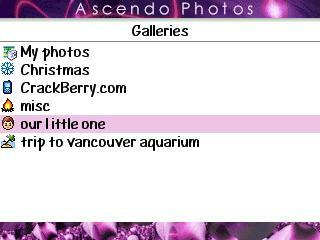 Once transferred, use Ascendo Photos for BlackBerry to organize your images and to create galleries. Along with choosing a layout for your pics for your galleries (thumbnail, list or detail views), you can choose from 100 icons that will appear next to your gallery name. Ascendo’s interface can be customized, choose from 10 different skins for your layout. Choose from storing your images on the device or on the micro SD card. Flip through a full screen slideshow of your images, choose various transition effects and time intervals between pictures, skip forwards or backwards using the trackball. Utilize the photo viewer as a screen saver, displaying photos automatically after a predetermined time. Now say you have images that you don’t want everyone to see, tisk tisk. You can, using photos desktop, mark images or galleries as private. Those marked private won’t be displayed during slideshows & screensavers. Passwords can be created to access these private images. Ascendo doesn’t ask and doesn’t tell. Do you have a favorite pic that you want to share? Use it as a background, picture caller id, mms or email it to your friends and family. 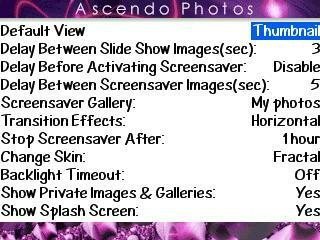 I was hoping that this new version of Ascendo would allow you to access pics you already have on your BlackBerry, but alas, perhaps this will be on the hit list for the next version. One of the new features got a warm welcome from me. You can add audio files to your displayed Slide Show and control the volume as well. Seeing as how Valentine’s Day is just around the corner, this is a great opportunity to create a tribute to your loved one. 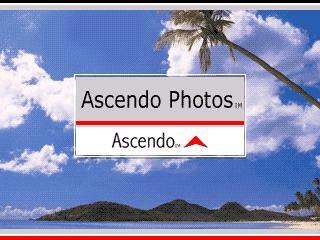 Ascendo Photos is a great companion for your BlackBerry. It has a simplified, yet beautifully designed interface, on both your PC and your BlackBerry. The newest features, listed in point form here are a warm welcome. Again, there’s always room for improvement and perhaps they will look at getting access to existing pics on the BlackBerry. Download the trial. Ascendo is available at the CrackBerry store for $29.95. So get snapping, say cheese and show off your photos!